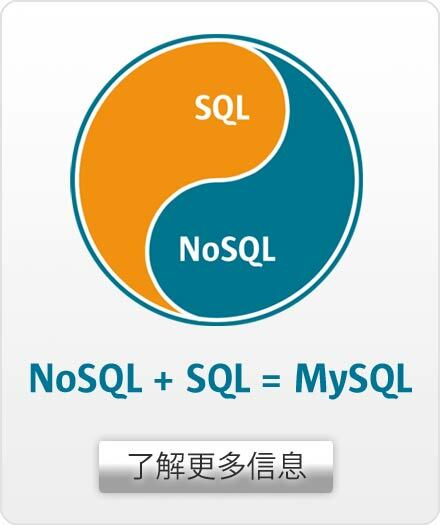 MySQL powers the most demanding Web, E-commerce, SaaS and Online Transaction Processing (OLTP) applications. It is a fully integrated transaction-safe, ACID compliant database with full commit, rollback, crash recovery and row level locking capabilities. MySQL delivers the ease of use, scalability, and performance to power Facebook, Google, Twitter, Uber, and Booking.com. MySQL 8.0 includes significant performance, security and developer productivity improvements enabling the next generation of web, mobile, embedded and Cloud applications. New! Document Store for developing both SQL and NoSQL document applications using a single database. New! Transactional Data Dictionary implemented as a set of SQL tables stored in a single InnoDB tablespace. New! SQL Roles for granting and denying permissions to groups of users, greatly reducing the security workload. New! Default to utf8mb4 character set for richer mobile applications and international character sets. New! Common Table Expressions also known as WITH queries have been added to MySQL 8.0. New! Window Functions to reduce code complexity and help developers be more productive. New! Invisible Indexes to better manage software upgrades and database changes for applications that run 24x7. New! Descending Indexes to eliminate the need for sorting results and leads to performance improvements. Improved! JSON Support with numerous additions including the JSON_TABLE() function which accepts JSON data and returns it as a relational table. Improved! Up to 2x faster and sets new benchmarks records with upto 1.8 Million Queries/Second. Improved! OpenSSL as the default TLS/SSL library in MySQL. Improved! Performance Schema with queries that are up to 30x faster. Improved! Information Schema with queries that are up to 100x faster. Improved! GIS is enhanced to support geography and Spatial Reference Systems (SRS). Improved! Replication and InnoDB Cluster for better scale out of high volume applications. Reliability requiring little or no intervention to achieve continuous uptime. Ease of use with "3 minutes from download to development" installation and configuration. Low administration with very little database maintenance required. Replication providing flexible topologies for scale-out and high availability. Partitioning to improve performance and management of very large database environments. ACID Transactions to build reliable and secure business critical applications. Triggers to enforce complex business rules at the database level. Views to ensure sensitive information is not compromised.